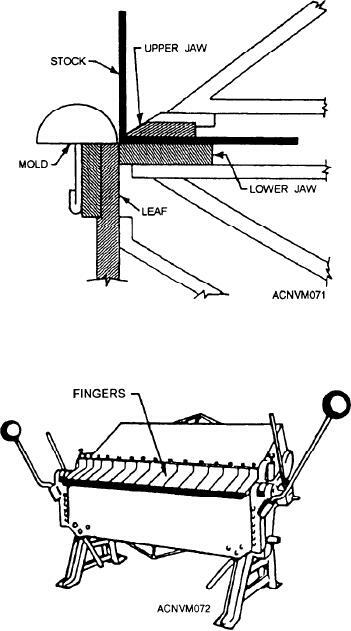 Figure 12-72.--Box and pan brake (finger brake). Figure 12-70.--Some steps in forming a Pittsburgh lock scam. leaf to make the maximum possible bend. flush with the front edge of the upper jaw. 6. Close the left-hand clamping device. the manner described for flattening hems. upper jaw with the clamping handles. 11. Remove the strips from the pocket. over with a mallet, and the seam is finished. upper jaw by thumbscrews, as shown in figure 12-73.